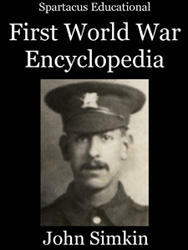 Frederick Holmes was born in Bermondsey on 27th September 1889. After attending a London Board School he joined the British Army in 1907. He served for seven years but within two weeks of leaving the First World War started and he was recalled as a reservist. Soon after arriving in France with the British Expeditionary Force, Holmes was involved in fighting at Le Cateau. When Norman Woodcock was badly wounded, Holmes carried the 12 stone on his back for two miles until he reached some stretcher bearers. Holmes returned to his battalion to find many of them killed or wounded. He placed a wounded man on one of the horses of a artillery gun team and attempted to take him to safety. Unfortunately the man fell off and was lost in the dark. Soon afterwards Holmes was so badly wounded that he came close to having his leg amputated. 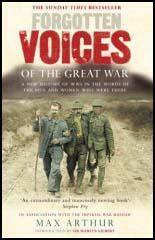 For the bravery he showed at Le Cateau, Holmes won the Victoria Cross. It was presented to him by King George V at Buckingham Palace on 13th January 1915. Holmes was promoted to Sergeant when he returned to the Western Front in October 1915. In December he was transferred to India and in March 1917 became a Second Lieutenant and sent to Mesopotamia, where he fractured his skull. No longer fit enough for active service, Holmes worked in the Military Record Office in London. After the war Holmes emigrated to Australia. In a letter he wrote to his regiment he complained that his war injuries were causing him serious health problems and was "practically a cripple". Frederick Holmes died in Port Augusta on 22nd October 1969.